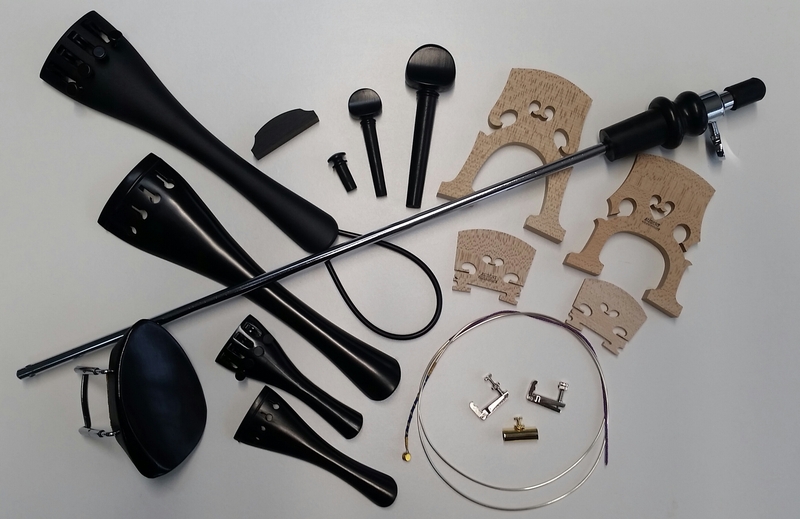 Symphony Strings stocks only high quality parts and accessories for our clients. Bridges by Teller, Despiau, Bausch and Aubert. Top quality ebony fittings. We stock Helicore, Dominant, Prelude, Crown and Larsen strings. 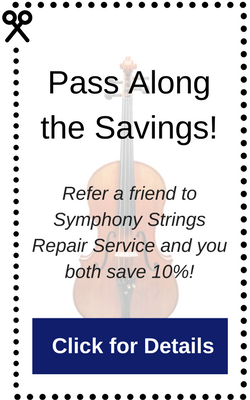 Symphony Strings uses only the best quality parts for repair of your instrument. We pay close attention to the fit and adjustment of the correct parts for each particular instrument and playing situation. This allows you, the player, to concentrate on the music knowing that your instrument is in proper condition and will perform up to your expectations.